A major sale of artefacts from the life of Elvis Presley is due to take place at Graceland, his home in Memphis, Tennessee later today. The auction consists of 72 lots and includes everything from his marriage certificate to his front door keys. Ahead of the event, let’s take a brief look at some of the most interesting lots. 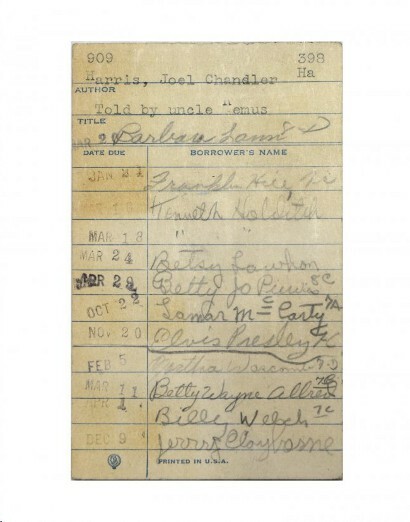 Elvis signed this library card in 1947 when he was in 7th grade. During that year he was beginning to gain recognition for his singing and performed twice on local personality Mississippi Slim’s radio show. The piece is one of the earliest known examples of Elvis’ signature, meaning its likely to attract a high degree of interest from collectors. Elvis had an enormous collection of guns. After a number of death threats he carried one on his person at all times, even while he was on stage. His penchant for firing at the TV whenever singer and longtime rival Robert Goulet appeared onscreen in the stuff of legend. 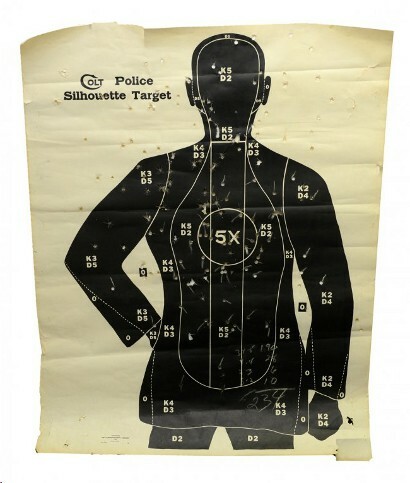 This target was set up in his smokehouse in the grounds of Graceland, which he used as a shooting range. 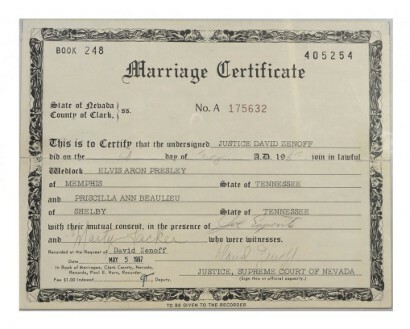 This marriage certificate records Elvis’ wedding to Priscilla in Las Vegas in 1967. The couple spent a total of eight minutes in the chapel before jetting off for their honeymoon. Ironically it was sent back to the marriage office stamped “return to sender” and was kept by one of the clerks, who sold it at auction in the mid 90s. 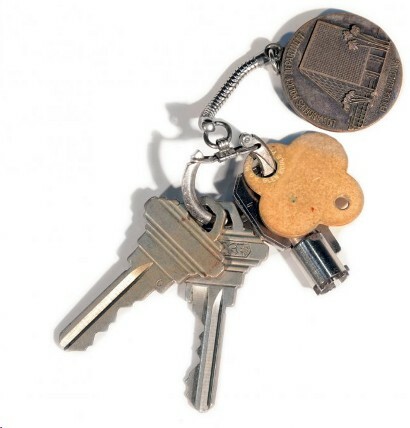 This set of keys for Elvis’ holiday home in Palm Springs, California were taken on his honeymoon with Priscilla. The couple spent a couple of days in the luxury apartment before flying on to Memphis. A Los Angeles Police Department keyring is a nice touch. Alongside his gun obsession, Elvis was an avid collector of police badges. Posted in Auction, Autographs, Collectibles, Collecting, Collector, Elvis, Famous names, Historical memorabilia, Letters, Memorabilia, Music memorabilia and tagged auction, elvis, Elvis and Priscilla, Elvis Presley, Graceland, marriage certificate, memorabilia, music, music memorabilia, Rock, Rock n Roll, Shooting. Bookmark the permalink.